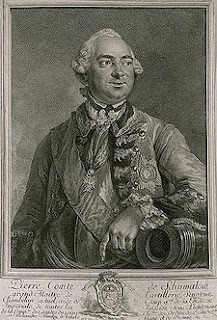 Count Petr Ivanovich Shuvalov (1710- 1762) took part in the Russian palace coup of Nov. 25, 1741, which resulted in the accession of the Empress Elizaveta Petrovna. Appointed director of Russian domestic policy in the 1750’s, he took an active part in the reorganization of the army on the eve of the Seven Years’ War: in 1757 he became head of an armaments office and did a much to modernize artillery. Shuvalov developed both the Taina (Secret) and Edinorog (Unicorn) howitzers used by the Russian Army for more than 100 years. In 1760 Shuvalov founded an ironworks in the Kazanskaya Guberniya, building a massive dam on the Izh River at the tributary of the Yagul in the middle of nowhere. A village quickly rose around the works, and in 1807 Tsar Alexander I founded Russia’s third largest armory on the location now known as Izhevsk. Chief Mining Engineer Andrey Deryabin was set in charge of the facility, and along with architect Semyon Dudin they developed a long-term plan for the expansion of the complex. Deryabin maintained iron production and established a tool factory, originally inviting armory experts abroad: in the first year the armory produced 7 flintlock rifles, 5 pair of pistols and 6 “backswords”, a single edged cavalry sabre with a thick flat “back” or spine. By the outbreak of the War of 1812 the factory was supplying firearms and swords to the Russian army; during the first four years they produced 2,000 rifles, while in 1814 the output came up to 10,000 firearms and almost 2,500 sabres. Izhevsk reached its planned annual production capacity of 25,000 rifles and 5,000 swords in 1830. In 1867 Izhevsk Armory Factory was reorganized into a commercial enterprise, and by 1870 the production rate had exceeded Russia’s other two primary military factories in Tula and Sestroretsk to the extent that they began to source barrels and receivers for them. In 1884 the facility was equipped with steam-engines and an open-hearth steel furnace enabling mass production of the Krnka breach block and Berdan bolt action rifles, and in the same year the factory became a state enterprise again. With the reduction in demand in defense weapons the armory began production of hunting arms along with upgraded military models: six years later Izhevsk began manufacturing the famous Mosin 3-Line Model 1891. 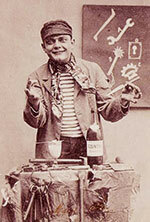 By the beginning of the 20th century Izhevsk had become a large industrial center. 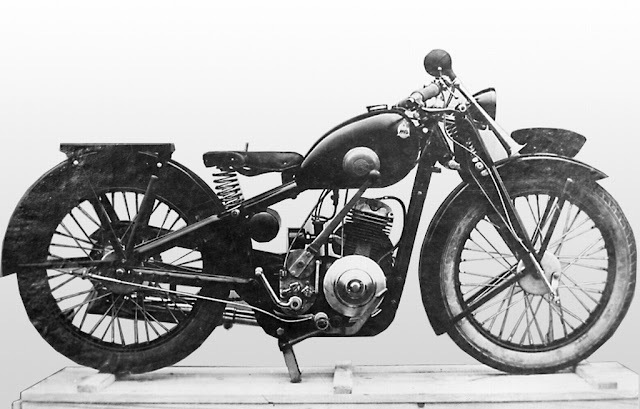 In the mid 1920’s the Izhevsk factory began to diversify further, and a group of engineers under Pyotr Vladimirovich Mokharov (1888–1934) began work on several motorcycle designs. They included two horizontal V twin 1200cc models along with smaller 750, 500, and 200cc. machines, all with shaft drive. Prototypes were built in 1928; the most notable was the IZh-1 with a 1200cc, 23hp. horizontal V engine. The bike was a true monster: its pressed frame incorporated lower hollow beams which functioned as exhaust pipes, interchangeable wheels and a Neander front fork. 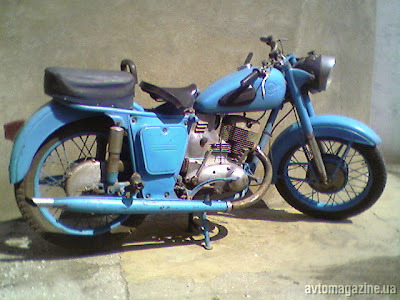 IZh -2, the other 1200cc machine, was 24hp. with a cooling fan and sidecar wheel drive. 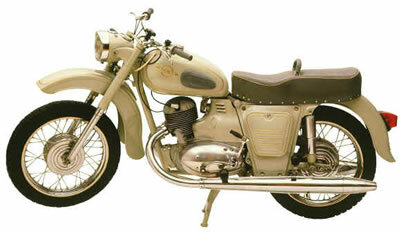 The 750cc machine was dubbed the IZh-3 and used Jawa’s Wanderer engine; IZh-4 was a 200cc, 6hp. single cylinder 2-stroke and the IZh-5 500cc. was designed as a racing machine. All these motorcycles participated successfully in the Second All-Russian Motorcycle-Race in September-October 1929. The IZH-4 was recommended for mass production, but the plant instead refocused on the export of Mosin rifles and their first forays into the motorcycle industry were halted. Mokharov went on to develop the NATI A-750, another V-twin SV 750cc. in a pressed steel frame with a leaf spring front suspension, based on the early BMW units. The NATI was Russia’s primary heavy motorcycle from 1933 until 1939 when it was replaced by the M-72. Josef Stalin’s great reorganizations of the 1930’s led to the establishment of the Central Design Bureau and several new rifle models, including a modified Mosin, the Simonov AVS-36 and the Tokorev SVT-38. In 1938 the stock and barrel assembly was automated, allowing the massive production rates needed in World War II. 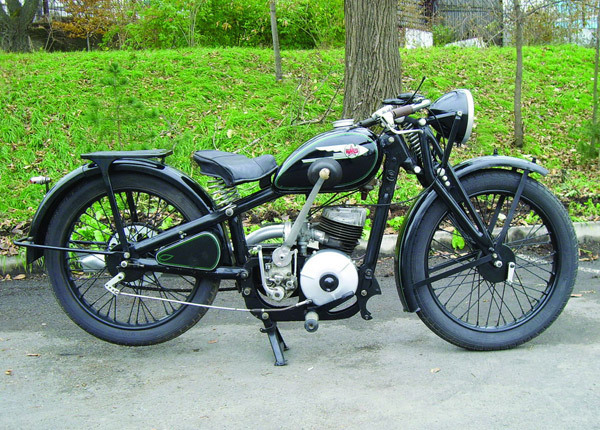 In 1932 the Izhevsk plant began to produce IZh-7 motorcycles, a replica of the L-300 single-cylinder 300cc., 5.5hp. 2-stroke already being manufactured commercially by the Tremass Works in Leningrad. In early 1938 the IZh-7 was replaced with the IZh-8, boasting an 8 hp. engine and equipped with a generator and battery rather than the earlier magneto. From the beginning of the Great Patriotic War (WWII) Izhevsk Armory Factory –now Izhevskiy Mashinostroitelny Zavod (Izhevsk Machine-Building Plant , or IZHMASH )- served as the primary Soviet armory center, producing both small arms and air ordnance; during the war the factory produced 11,145,000 rifles and carbines, more than 15,000 aircraft cannons and some 132,000 antitank rifles. Altogether the Izhevsk factories and plants produced 80% of small arms manufactured in Russia. While the Plant was primarily concentrated on arms production, some development continued on the IZh-9 (9hp.) 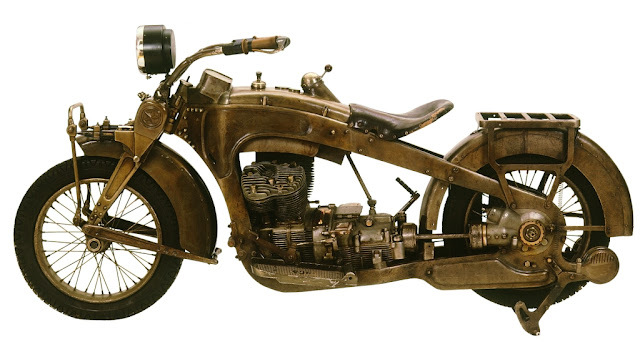 motorcycle which had been prototyped in 1940. By some accounts the Izh-1 and Izh-3 actually saw service during the Great Patriotic War: records indicate that both were brought in for repair to BTRZ No.20 in Moscow. The Izh-1 was repaired and ended up back at Izhvesk (where it is now on display), but the Izh-3 was deemed too badly damaged and was scrapped. 1941 Tokarev SVT-40: original production at Tula but later from Izhevsk and Kovrov. Mikhail Timofeyevich Kalashnikov, born November 10, 1919 in Russia’s Southern Altai region, was serving as tank commander on a T-34 of the 24th Tank Regiment, 12th Tank Division when he was wounded in combat during the defense of Bryansk in October 1941. While in the hospital he overheard other soldiers complaining about the Tokorev rifles which had a reputation for being overly complicated and somewhat unreliable. 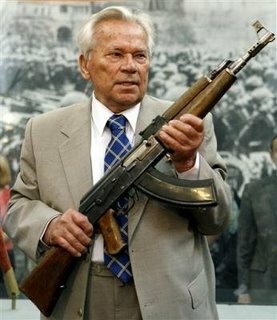 Kalashnikov himself had reportedly been dissatisfied with the standard Soviet infantry weapons, and was inspired to start designing a submachine gun. Although his first designs were rejected his talent was noticed and from 1942 onwards Kalashnikov was assigned to the Red Army’s Developmental Firing Range in Izhevsk. In 1944 he designed a gas-operated 7.62×39 mm carbine influenced by the M1 Garand rifle, but this lost out to the new Simonov carbine which would be eventually adopted as the SKS. Still, it was the winning entry in an 1946 assault rifle competition and the “Mikhtim” (for Mikhail Timofeyevich) became the prototype for the development of a family of prototype rifles which culminated in 1947 when he designed the AK-47 (standing for Avtomat Kalashnikova model 1947). In 1956, the AK-47 assault rifle became the Soviet Army’s standard issue rifle and went on to become Kalashnikov’s most famous invention. After 1947 IZHMASH gradually began renewing the production of non-military arms, but assault weapons remained their focus throughout the Cold War. 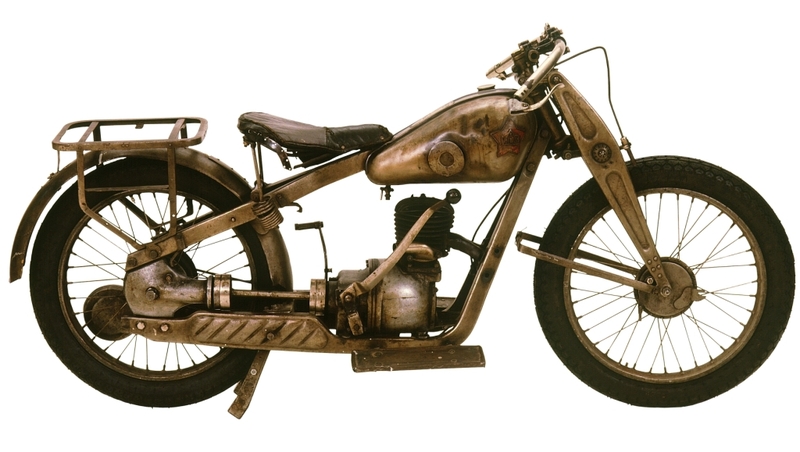 In 1946 the plant received a large quantity of equipment from Germany through the reparations act, and in the same year the German DKW based IZh-9 became the first mass produced motorcycle from IZHMASH. 1948 saw the IZh-350C 14hp.model which was the first with a modern telescopic fork but production was limited. In 1951 the company released the IZh 49, perhaps the most iconic of all their models. 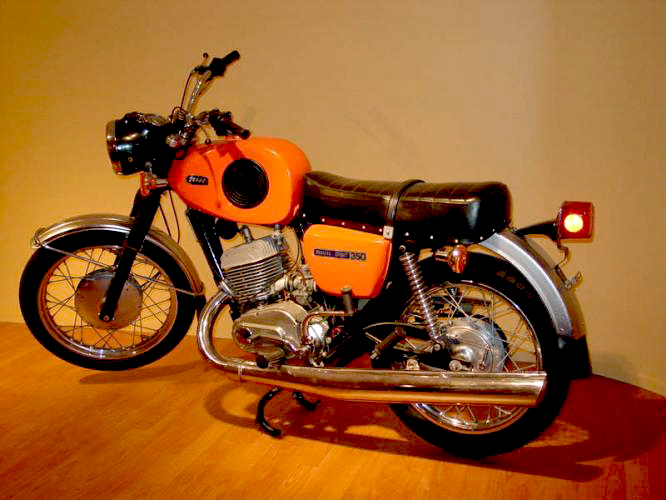 An immediate success, the machine featured a single cylinder 2-stroke, 346cc. 11.5hp. engine with an aluminum head, telescopic forks and hydraulic shock absorbers on the rear suspension: the motorcycle was available in both solo and sidecar equipped versions. At the time it was considered one of the best motorcycles in Europe and more than 500,000 were produced until the “Jupiter” replaced it in 1958. 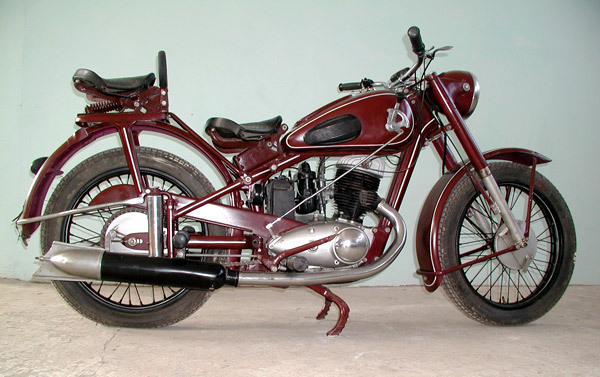 Beginning in 1955 IZHMASH produced a number of sport class motorcycles in both chain and shaft drive configurations. The IZh-56 (1956) was the most popular of these with 680,000 machines produced, 130,000 of them sidecar equipped. With the launch of the Soviet Sputnik program in 1957 came a series of celestial themed bikes; the Saturn (250cc. ), Orion (350cc. 2 cyl.) and Sirius (350cc. 2cyl.). The IZh Jupiter was showcased at the 1957 World’s Fair in Brussels, a “split single” two cylinder 350cc 19hp. with an improved gearbox. Mass production began in 1961 with 447,747 machines leaving the factory during its 5 year run. The following year saw the Planeta, a single cylinder model with roughly the same specs. From 1966-1970 various improvements were made on both models with the Planeta’s more robust single cylinder design being developed for a sport market and the larger horsepower, twin cylinder Jupiter filling the street bike requirements. 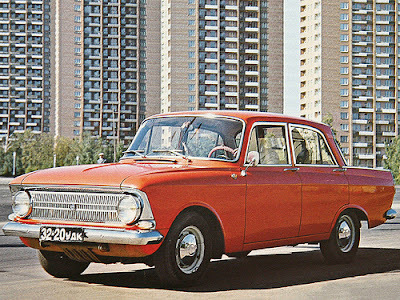 IZHMASH also began producing automobiles in 1966, originally issuing copies of Moskvitch models 412 and later the 2138 and 2140, first using a 1360cc. engine with SOHC gear driven timing but quickly upgrading to a 1478cc. with a more traditional chain drive timing. Through the 1970’s IZh continued production of their popular 350cc. models and introduced a series of motocross/enduro sport bikes based on the Planeta design with larger brakes and engines over 30hp. Between 1973 and 1979 IZh enjoyed a large export market, and along with Urals the Planeta and Jupiter models were marketed by SATRA in the United Kingdom under the Cossack Motorcycles brand. The 1974 IZh Planeta-Sport was the first model to abandon the older DKW influenced engine for more modern Japanese electronics and engine designs: it also adopted the Mikuni carburetor and featured a 4 stroke engine and larger brakes. The 32hp. machine can reach speeds of 140km/h. In the early 1980’s IZHMASH completed a new, modern complex for the motorcycle division designed to produce up to 450,000 machines per year. In 1981 the Jupiter-4 27hp. began production, followed by the Planeta-4 20hp. -the first model with 12v electrics- in 1982: both were chain drive. 1985 saw the Jupiter-5 with a power decrease, from 28 hp to 24 hp. 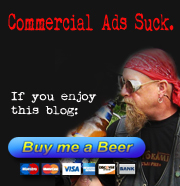 The new button ‘Standby’ appeared in this model. The 1987 Planeta-5 got a 22hp. engine and redesigned fuel tank, body panels and instrument panel, modifications which were carried over to the Jupiter. At this time IZHMASH also began the prototypes for the Orion, Marathon and Sirius Sprinter models based on the YAMAHA XT-550, which they had purchased the license for following the popularity of the Planeta Sport. These new models featured front disk brakes and monocross suspension: the modular dismountable frame could be combined with the Yamaha engine (Orion & Marathon) or with a new liquid cooled IZh two-stroke 400cc. engine in the Sirius 400 Sprinter. The Marathon 560 was an endure model based on the Orion street bike. Unfortunately economic and logistic problems (reportedly Russian oils of the time weren’t of a standard necessary for the Yamaha engine) stopped the project. In 1992 IzhAvto released the IZh-2126 Oda, bearing a very close resemblance to the Moskvitch Aleko and featuring either front or 4-wheel drive in hatchback and pickup/panel van models. The same year a sidecar was developed which would fit either Planeta or Jupiter models and the transfer gearbox was modified so that the sidecar would effectively turn the machine into a two wheel drive trike. Today IZHMASH continues production of a variety of small arms for both military and recreation, including various modified versions of Kalashnikov’s AK assault rifle, the GP-34 Grenade Launcher, 9 mm Yarygin pistol and the SV 5.6mm sniper rifle. Civilian models include the Baikal rifles and shotguns produced primarily for export and the Saiga, a hunting carbine based on the AK. The Baikal MP-153 was recognized as Gun of the Year by Sports Afield and Guns & Ammo magazines in 2001. IZMASH also produces a variety of precision machine lathes, technical tools and gauges. The Izhevsk Motorcycles Company still produces the classic air cooled Planeta-5, 2 stroke single cylinder 346.6cc. ; an improved water cooled 2 stroke / 2 cylinder 347.6cc. Jupiter-5, the Yunker which incorporates the Jupiter engine in a more modern “street cruiser” design and the Cornet 50cc. general purpose machine. IZh also has various specialized models for police, cargo, and a “Swamp Rover”. IzhAvto filed for bankruptcy in August 2009. 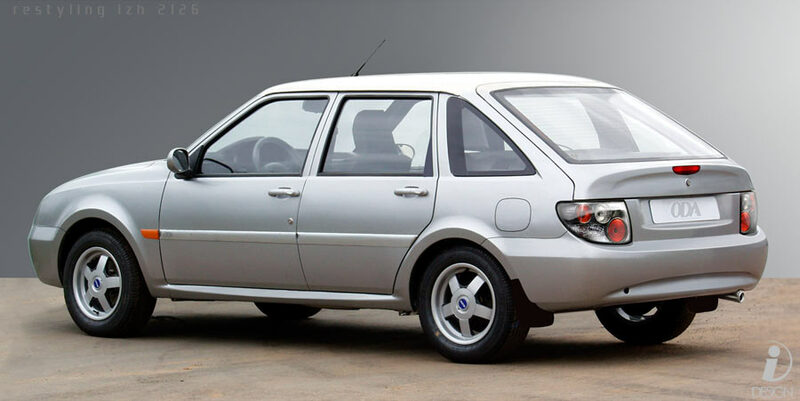 They still produce the KIA Spectra and Sorento under license, as well as the LADA VAZ 21043 compact station wagon (combi) and the Izh-27175 small delivery truck.